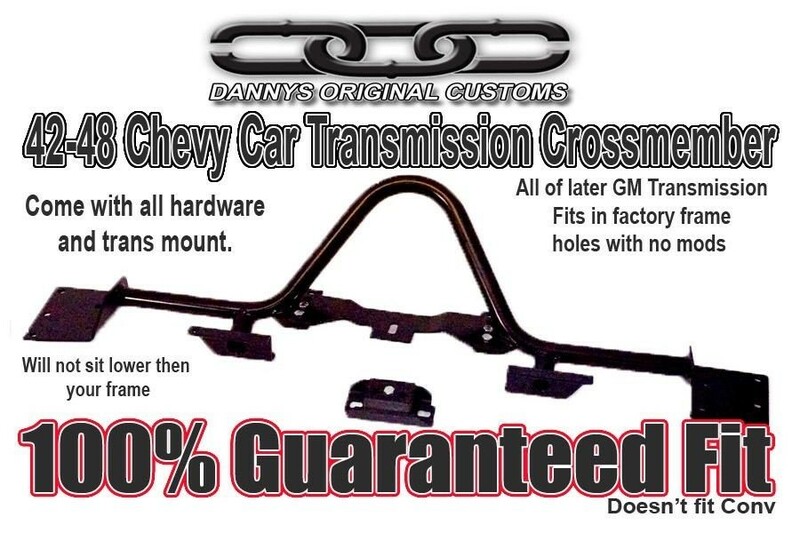 Danny’s Original Customs American Made 1942-48 Chevy Car / Wagon transmission crossmember swap, bolts onto stock crossmember location to replace the powerglide to any GM transmission 350TH, 400TH, 700r4, 4L60 or 4L60E. 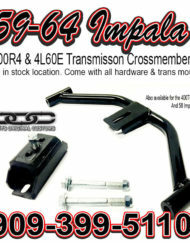 Comes with all necessary hardware and free trans mount for a 700 transmission. 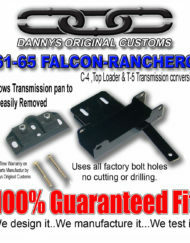 With over 25 years of experience, we are know what we are doing!! 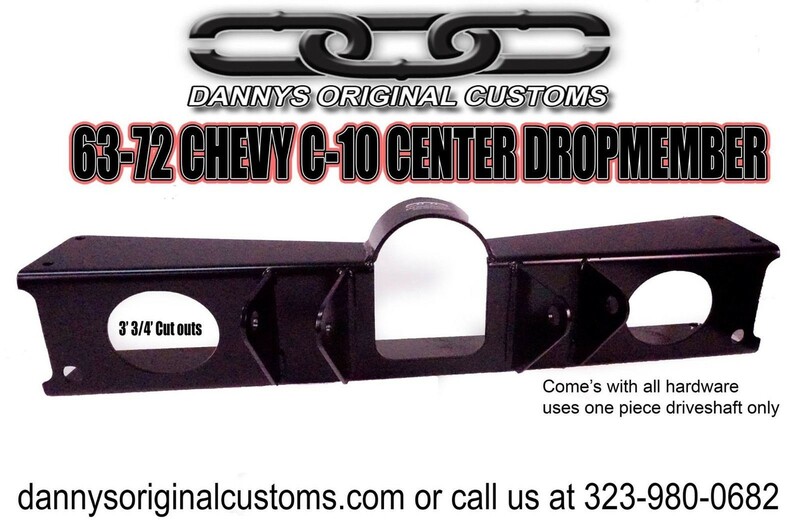 At Danny’s Original customs we stop at nothing to get you what you need. 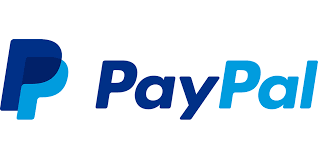 Fast and reliable shipping, with service you can trust. For more info or tech support CALL NOW!! !